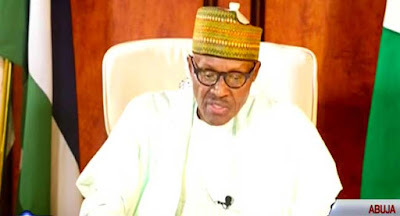 President Muhammadu Buhari has condoled with the Bamigboye family on the death of retired Brigadier-General David Bamigboye, the first military governor of Kwara. The president's condolence message is made available in a statement by his Senior Special Assistant on Media and Publicity, Malam Garba Shehu, in Abuja on Friday. The president affirmed that Bamigboye, who was well respected for his versatility and leadership, would be long remembered for his service to the nation in a variety of roles. Buhari paid tribute to his enduring commitment to the development of Kwara during his tenure as military governor. He particularly acknowledged his far-reaching role in helping to lay the foundation for an effective education system and civil service in the State. The president prayed that almighty God would comfort his family, friends and associates in this period of grief and grant the soul of the departed eternal rest.